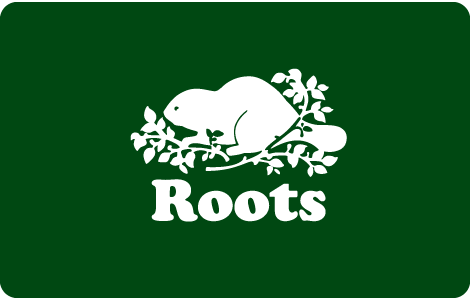 Roots is Canada's leading lifestyle brand, known around the world for its leather goods, apparel and accessories. Its active, progressive style is popular with all ages, men and women, boys and girls. From head to toe, from great sweats to the finest leather handbags made in Canada, from hats to footwear, Roots puts the accent on style, comfort and quality. Roots gift cards can be used at Roots stores and at www.roots.com For the nearest store, please visit roots.com. Order your Roots gift cards from National Gift Card Canada today! This card may be redeemed at all Roots stores. This card is in Canadian funds. To register your card or inquire about locations visit roots.com or call 1-888-30-ROOTS.